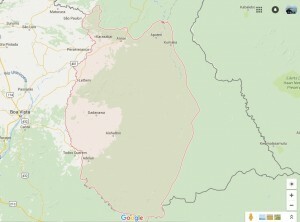 An elected senior local government official in Lethem has accused a top appointed official of Region Nine of sexual assault and police have already completed their probe, Divisional Commander, Ravindradat Budhram said Wednesday. “We have received a report on that and a report has been sent for advice,” Budhram told Demerara Waves Online News. The advice is being sought from the Director of Public Prosecutions Chambers. However, the alleged perpetrator dismissed the allegation and referred all further questions to his lawyer. “It’s a false allegation and I have said that to the police,” he told Demerara Waves Online News. The Divisional Commander said the alleged incident occurred between February and September, 2016 and a report was made by the elected official in December, 2016. The Divisional Commander said several of the witnesses had not been in the area but recently returned and have since been questioned. Budhram said the senior appointed regional official has also been questioned by investigators. In a statement to the media graphically detailing her alleged ordeal, the senior Local Government official said she has also written President David Granger but has not received a response. “ An official report was made to the police station on the 30th December, 2016; also a letter was sent to His Excellency President David Granger on the 7th November, 2016. However, to date I have not received any word from the police concerning the status of case reported and I have not received any correspondence or phone call regarding the letter that was sent to HE David Granger and the party I represent,” she said at the conclusion of her five-page statement. The elected official has also produced a copy of a purported Facebook conversation between herself and the the senior regional official in which he allegedly made overtures for a relationship with her.